I had heard of Matt Dickerson, but hadn't met him before I visited the Netherlands a couple of years ago. Matt's from Australia. Which may be as abolutely far as you can get from the Netherlands on this round ball we call home. Anyway, Matt and I did the first SMB Nation conference in Europe -- and had a great time. Afterward, Robbie Upcroft made arrangements for Matt, Jeff Middleton, and me to visit some user groups in the UK. So we did a little mini-tour together. That's when I first heard the pitch for Matt's SLAM DVD set. SLAM = Service Level Agreement Model. Matt sells the DVD set for a goodly chunk of change. But now comes a 308 page book that introduces the SLAM process. This book outlines what a modern IT business should look like and why it should look that way. It gives you practical tools to help transform your IT business from break/fix to a modern Managed Services business. The book will be released June 5th and Matt has promised to send us a box as soon as they hit the ground. He's actually going to take delivery of the books in the U.S., so we should have them in very short order. We have a pre-lease price over at SMB Books (Your source for consulting resources.). 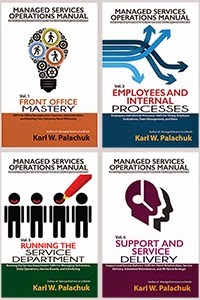 This book is aimed at making implementation easy for businesses that have not yet established Service Level Agreements or for businesses that want to refine an existing model. Mathew Dickerson is the founder and Managing Director of AXXIS Technology, a service oriented IT Provider located in regional Australia. AXXIS Technology has claimed 18 national and international awards over recent years with the highlight being the Microsoft Partner of the Year Award collected in Boston in 2006. 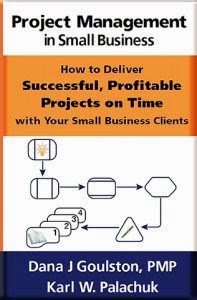 You may have read about Matt in Beatrices's book Making it Big in Small Business: Top 15 Successful SMB Consultants Share Strategies and Lessons Learned. Generally acknowledged as a helluva nice guy, Matt's also got a lot of great knowledge to share with us. We're looking forward to getting our hands on the book.